Sick of working so much that you don’t have time for anything else? More and more, it’s becoming tougher to keep a right balance between work and life. There are 168 hours in the week and if you scratch out the time necessary for sleep and labor, you’d be surprised at how much “other time” you actually have. So where does it all go? Unfortunately, when we’re overworked, time ends up slipping away from us even faster. Whether it’s because you’re oversleeping from exhaustion, procrastinating with filler entertainment, or simply lounging around from lack of energy, improper work management is robbing your time. Here’s how to reclaim it. Every minute you spend in planning saves ten minutes in execution. As far as weekly time management goes, it’s incredibly true. Set it up. 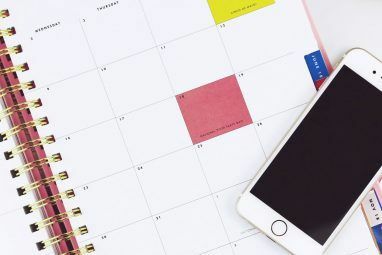 Create a schedule for the week — you can use an online calendar if you want — and fill it in with blocks of time for work and sleep. This is your baseline. Prioritize. Grab a pen and paper and write down everything you need to get done this week. That includes errands, projects, events, appointments, etc. Next, write down everything you want to get done this week, whether it’s playing a video game, watching a new film release, or visiting the beach. Prioritize both groups. Shuffle and cut. Mark each item as either Major or Minor. Major items absolutely must be taken care of this week. Yes, you can label some leisure items as Major. Fit these into the week’s schedule, starting first with Major items before moving onto Minor items. Be sure to include time for the basics, like eating and bathing. Push leftover Minor items to next week. Track your time. Sticking to the schedule can be difficult, especially at first, so it helps to know where all of your time is going. Use a tool like Timing (our review Track How You Spend Time On Your Mac With Timing Track How You Spend Time On Your Mac With Timing If most of your work involves a computer, an OS X application called Timing can help you track exactly where the hours go. Read More ) or Timecamp (our review Timecamp: A Better Way To Keep Track Of Time For Better Billing Timecamp: A Better Way To Keep Track Of Time For Better Billing Read More ) and log your activities. You might be surprised by how much idle time is passing you by. To-do lists are great for productivity. 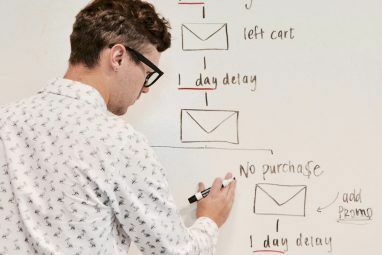 They shape your weekly tasks to fit a goal-oriented approach and, as long as you avoid these goal setting mistakes 5 Critical Mistakes To Avoid When Setting Goals 5 Critical Mistakes To Avoid When Setting Goals Goal setting is a great way to cut down on procrastination and boost productivity. If you don’t have goals, you don’t have direction. Without direction, it’s easy for you to feel lost and confused. Fortunately,... Read More , you’ll see a boost in work efficiency. Plus, it’s always satisfying to cross items off. Do note that to-do lists work best when you stop multitasking. The efficacy comes from that efficient cycle of choosing your next task, giving it your full focus, and crossing it off when you’re done. Juggling three tasks at once is a surefire way to slow yourself down and lose more time due to overhead. But the greater benefit of a to-do list is that it frees up your mind. Even if you have an impeccable memory, it will always require effort to store important details and there’s always a risk of forgetting. To-do lists relieve you of that burden. With one less thing on your mind, you have one less reason to stress. 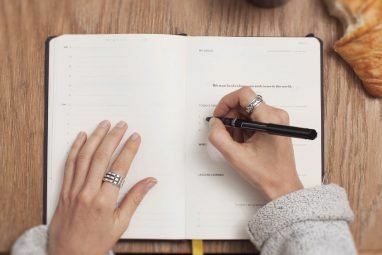 Here at MakeUseOf, we’re big fans of The To-Do List and we’ve covered many simple to-do apps Stop Organizing, Start Working: 3 Simple To-Do Apps To Speed Up Your Workflow Stop Organizing, Start Working: 3 Simple To-Do Apps To Speed Up Your Workflow Are you a list lover? Stop using your to-do list as yet another excuse to procrastinate. Switch to a minimal task management system and focus on getting things done. Read More in the past. Choose the one that you like best and embrace it. Once you fully invest in the power of a to-do list, you’ll finish your work faster and have more time for life. Let’s go back to the notion of a weekly schedule and let’s combine that with the concept of not multitasking. During a given block of time, allow yourself to be immersed in whatever activity you’ve allotted for that time. If it’s work, work wholeheartedly Stressed At Work? How To Relax & Focus In An Open Office Stressed At Work? How To Relax & Focus In An Open Office Does working in an open plan office kill your productivity? You can probably blame the Germans for its wide adoption. But let's reconcile after you tried these tips. Read More . If it’s play, play wholeheartedly. No Multitasking. Just one thing at a time. Taking this to heart can help if you suffer from “bringing home your work”. You have a scheduled block of time for work, right? Save your work thoughts for then. At all other times, allow yourself to fully enjoy whatever it is you’ve scheduled for yourself. The No Multitasking concept can be taken one step further: No Distractions. If you’re resting, shut off your phone. If you’re playing, close your email. If you’re working, close your Steam. If you’re typing up a report, close your web browser Focus! 4 Best Tools To Temporarily Block Facebook & Co Focus! 4 Best Tools To Temporarily Block Facebook & Co You're not alone, we have all done it - wasting hours browsing the web instead of getting stuff done. Need a spike in productivity? Find the best tools for escaping social media here. Read More . I realize that this is pushing the line into idealistic territory, but the important takeaway is to be one-minded and free of distractions whenever possible. There are mental benefits to starting each week fresh and new. Imagine leaving for an extended vacation and coming home only to find that everything is a dirty mess. It’s disheartening, isn’t it? And the last thing you want to do when you get back from an extended rest is clean. The same applies to your work. According to a study by the Princeton University Neuroscience Institute, a cluttered environment hinders your ability to concentrate. At the end of the work week, let the last thing you do be to clean up and organize your workstation. You’ll thank yourself when the next Monday rolls around. In addition, the physical act of cleaning can help with the mental act of disconnecting from work. Leave work at work. It’ll be there when you come back. How do you balance work and life? What tricks do you use to keep yourself from bringing your work home? Do you use any useful tools and apps? Share with us in the comments below! There are lots of car rental vendors in England. As for me, Hertz is on the top of them all. Their workers are well-mannered as well as helpful. I rented a motor vehicle for one week.There was really wonderful office staff again. I am pleased to work with them! Five stars are recommended by me! I think it would be a great idea before you sleep the night before, dream about what you've planned and steps to accomplish it because writing in pencil or pen doesn't work for other people (like myself) since I usually don't follow what's on there. Then the next day you'll remember and be more motivated to dream about things you wish last night. Another thing to point out is not to be stressed during the process of doing your task since it'll have bad effects on your concentration and lose focus on the task.